FREE REMOVAL SERVICE: Sell Your Junk Car Fast! 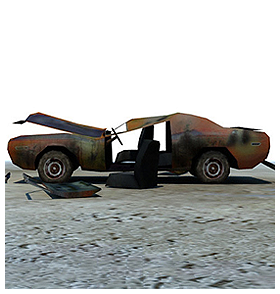 Contact Our Junk Car Buyers Now! Orlando's Junk Car Buyers, buys your junk cars in Orlando and all surrounding cities in Florida. Cash for junk cars Orlando. Free Towing for all customers, we pay cash for cars, cash for used cars and cash for old cars in Orlando. Call Orlando's Junk Car Buyers at 407-796-8559 and receive instant cash for that Junk Car of yours.. Guaranteed Price and Free Removal Service.. All Today.. Tomorrow.. Whenever you are ready!... Or Simply fill out our Email Contact Form & sit back.... Relax!... That we'll call you soon!.. Covered! Cash for Junk and/or Used Car Removals! Sell your car in Orlando for cash... Guaranteed! Get paid for selling, buying, recycling and dismantling cars here in Orlando. Sell junk cars for cash today! Sell cars in Orlando to the most experienced company when it comes to junk car removal service. Sell your junk cars... Get free towing + cash on the spot!! If you can find any better deals and/or offers, Call us.. Let us know and we should be able to beat the competitor's offers, for sure!.. Cash for cars... All day... All night & NO.. These people are Far From Crazyy!! Sell your junk cars in Orlando with free towing and we will take care of all of the paperwork for you just like the DMV requires us to. Our drivers and our junkyards are FULLY licensed and insured.. Don't be fooled by all others.. Sell my car in Orlando with no title (if you have an ID and are the registered owner, NO WORRIES) and receive cash today!! Call 407-796-8559 for a free car for cash quote instantly. Free towing for junk car removal means that you will get the most cash for junk cars in this current market. We know how much your junk vehicle is worth so give us a call and make some fast cash money. Junk my car for cash today and make the most money for your junk or used car. We have several towing divisions through out Florida. Our main location: 2880 Stone Street in Oviedo, FL 32765 near Orlando, Fl. Contact us today to receive fast cash for your junk car!